Most of the people thinks of the feeling of being alone as something sad, something you should escape from, something that god give you as a punishement for something evil you did. No, that’s not for me or, at least, that is not the only way to look at the world through loneliness. Staiyng alone it’s an art, a performing art. It’s a moment in time where you can choose to grow up, to chase tour Thougths, to measure your shadow against the world. If you choose to be alone as an art, you will learn to take the plasure to be self-sufficient. I did, and as you can immagine, I decided to chase my Thougths while walking. I just hope that this post will get something of you in the right mood for a walk and a thought. 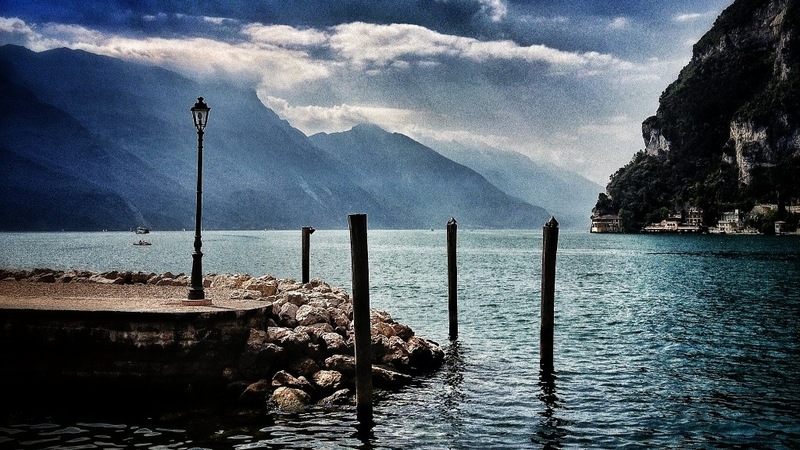 Questa voce è stata pubblicata in Weekly Photo Challenge e contrassegnata con lake, peace of mind, postaday, Riva del Garda, solitary thinking, Trentino. Contrassegna il permalink.